VPN services are all the same, right? wrong! With so much choice out there you can be easily led to believe that they’re all pretty much the same. This actually couldn’t be further from the truth. Surprisingly though most services cost about the same price. What this means for you is there are better services out there that will cost you the same. That’s where we come in. We’ve been testing a whole range of VPN services to find out which is the Best VPN service in 2018. Without question our favourite VPN service in 2018 is IPVanish due to the speed of their service and their privacy provisions. However we’ve rounded up our Top 5 selection below to give you multiple choices. IPVanish is a hugely popular VPN service and it’s not hard to see why. Their service offers some of the best speeds we’ve seen from a VPN allowing you to surf the net without interruption. Simply load up one of the apps, connect to a server and forget about it. If ease of use is at the top of your list then you’ll definitely appreciate their service. Coupled with the fact apps are available for both Android and iOS mobile devices, Windows and MacOS computers and even the Amazon FireTV and Fire TV Stick you’ll struggle to find a device not supported. The 7-day money back guarantee lets you test the service to see if it’s suitable for your needs and if you’re concerned about your privacy then the no-log policy will allow you to access the internet without fear that your usage will be revealed. ExpressVPN have concentrated on expanding across the world and are one of the largest VPN services in terms of locations. If having access to the greatest number of connection points is important to you then the 90+ countries will certainly tick that box. On top of the large range of locations is one of the biggest collections of VPN apps. Mobile devices running Android or iOS are covered as are Windows and Mac OS desktops and laptops. Linux users are also covered and with the recent addition of a dedicated Amazon Fire TV and Fire TV Stick app you can also protect your Kodi viewing habits. If that wasn’t enough then there are also apps for certain brands of routers allowing you to cover every device in your household. There’s a massive 30-day money back guarantee which will let you test the service without restriction to see if it’s suitable for your needs. NordVPN is one of our favourite VPN services of 2018 due to their continued expansion and ease of use. The apps which are available for all major devices are some of the best we’ve seen and with simple design you won’t struggle to get protected even if you’re a beginner. If you’re happy to sign up for a longer period such as 2-years then you can pick up one of the cheapest VPN deals in the industry and keep yourself protected through both 2018 and into 2019. The service has a selection of servers for specific needs. These include the likes of P2P, Anti-DDoS, Double-Hop and a whole host more. If you appreciate a little help in choosing a VPN server for your needs then NordVPN tick that box. If all that hasn’t got your privacy-senses tingling then the 30-day money back guarantee will give you plenty of time to check them out without risk. When you’re trusting your privacy to a company you want to ensure they’re wholly behind the idea. Robert Knapp the somewhat eccentric co-founder of CyberGhost VPN sports a tattoo bearing the word “Freedom”, this should tell you all you need to know about the company ethos. The service is based out of Romania but has more than 1300 VPN servers worldwide in over 51 countries. This gives you plenty of choice for connection and protecting your privacy. Connection can be made on up to 5 devices at the same time which will allow you to protect many of your devices or your whole household and there’s a 30-day money back guarantee letting you test the service risk-free. VyprVPN is one of the biggest names in the VPN industry. Known for a good quality of service which is one of the many reasons they’ve made our Best VPN for 2018 guide. If you’re looking for a VPN service that lets you try before you buy then they’re one of few who allows you to do this. Simply pop in some payment details to enjoy a free 3-day trial. If you find the service isn’t for you then you can easily cancel and you won’t be charged anything. The apps on the VyprVPN service are some of the easiest to use we’ve seen so if you’re a beginner then you’ll definitely appreciate the ease of use. Choosing a VPN service has become increasingly difficult. There are over 1000 commercial VPN providers and a quick search of your favourite search engine can leave you with a bewildering amount of choice. To ensure you’re getting a quality VPN service it’s important to consult an up to date guide such as this one for 2018. VPN services can quickly lose their quality and be bettered by other providers. Old guides contain outdated information which can lead to you getting a lesser quality VPN service. 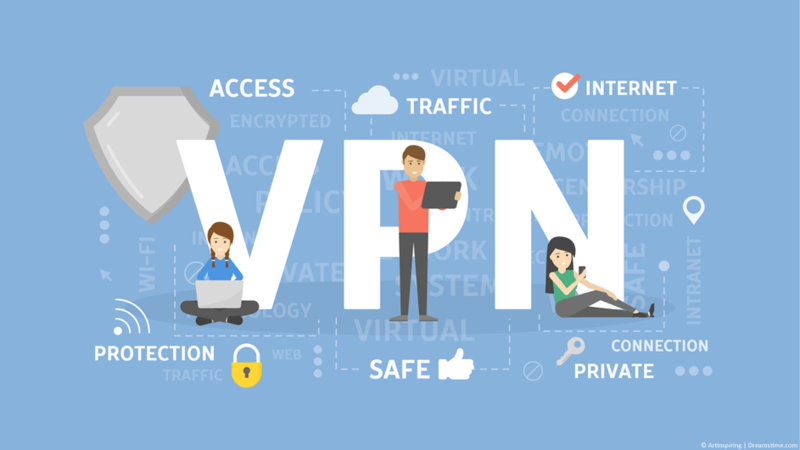 While VPN services that have many VPN servers might seem like the ideal option it’s important to consider if you really need such a large number especially when it’s possible to find a service with fewer servers that costs less. If for example you live in the United States and you’re only looking for US and Canadian VPN servers then ask yourself if you really need access to 90+ VPN server locations, you’re unlikely to make use of them and you’ll pay a premium for locations you’re probably not going to use. In the past most VPN providers offered 1 Month, 6 Months or 1 Year packages. However, in 2017 and 2018 this has changed and many VPN services are now offering longer subscriptions up to 2 or 3 years. As has always been the case with VPN services the longer you subscribe for the cheaper the price becomes. It’s possible to make savings of over 50% when signing up for a yearly account over a monthly one. It’s well worth considering a yearly account to take advantage of these savings. Further savings can be made if you subscribe for 2 or 3 years. However we recommend shying away from these deals because it means you’ll be locked into one VPN provider for a considerable time. VPN providers can sometimes lose quality and while it isn’t common you don’t want to be stuck with a service that has deteriorated. A 1 year service has the best balance between saving money and lowering risk. We know choosing a VPN service in 2018 can be difficult which is why we put together this guide. We’ve tested some of the most well known VPN services available and weeded out the bad ones to bring you this list of the Top 5. We recommend signing up to IPVanish because overall they offer the best all round service for 2018. No matter which of the 5 you end up choosing you’ll be secure in the knowledge you’ve got one of the best VPN services this year.